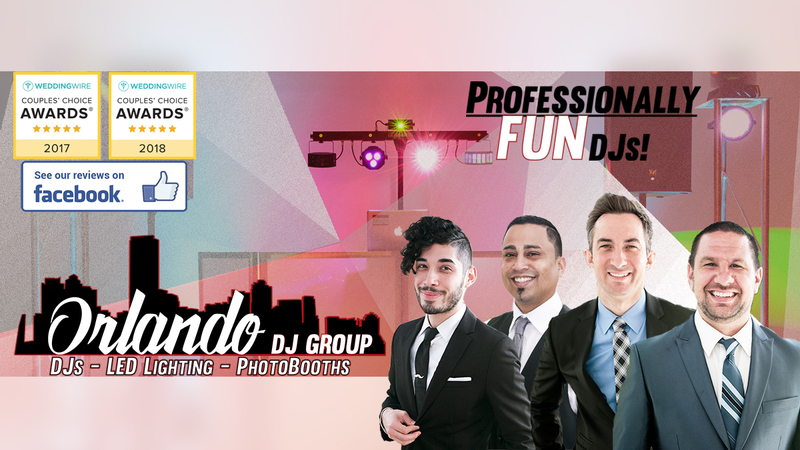 Orlando DJ Group has been servicing the Central Florida community since 2007. With experience ranging from bar and night club entertainment, to high-end wedding and corporate functions, we have knowledge and experience to handle any situation. Entertainment is one of the top reasons in determining whether your event was a success, do not leave this to chance! We use top of the line gear, plan and prep accordingly with both the specifics of the event AND the client, and execute with professionalism and fun. We invite you to look deeper into our website to confirm our system, and contact us today with any questions to insure your next event is a hit! Our Orlando based DJs understand everything related to a successful event. Process starts with planning. Weddings, Corporate Events, Birthday Parties. It does not matter how high-end or low-key your event is, proper planing is essential and part of your DJ’s job is to provide insight and ideas to get it right from the start. Do not play lists, must haves and idea generation are all equally importing. Faulty or unreliable equipment can be a disaster. Potential issues include: simply not working, microphone interference, tripping of breakers or injuries to name some of the more important. Our equipment is top of the line, we encourage you to google or call your local music store and give them our brand names and models. Correct on-the-spot decision making and the proper reading of the dance floor ensure there will not be a dull or stagnant moment. All of the above is the minimum standard. We take out club and event experience and add the extra element of professionalism and fun! Lets chat about your next event!